WOLVERHAMPTON wrapped up their away programme for the 2015 season in disappointing fashion with a 57-33 defeat at Belle Vue. The Parrys International Wolves have endured a tough campaign on their travels but travelled to Kirkmanshulme Lane with high hopes of building on their encouraging display at Leicester on Saturday. Yet they were no match for the play-off chasing Aces as they suffered another heavy defeat with their 12th consecutive defeat on their travels. The Monmore men got off to a bright start before conceding six heat advantages in the final two heats as they slipped to a resounding loss. No.1 Freddie Lindgren top scored for the visitors with eight points including a classy win as they struck a 5-1 in the opening race, whilst Polish ace Tobiasz Musielak also put in a strong performance with two race wins. However, they were the only two Wolves riders to see the chequered flag as they accounted for only three race winners on a difficult night. Jacob Thorssell earned a heat 15 appearance with another solid away showing, but fellow Swede Peter Karlsson was left trailing as he took Wolves' tactical ride in heat 11 on a forgettable evening. Guesting No.6 Max Clegg battled hard for a creditable contribution as he took the place of Lewis Blackbird, but Josh Bates endured a tough night before a solid second place in his final ride. Third heat-leader Ricky Wells also struggled after an exclusion in his opening ride, and the American ace admitted they were disappointed with another away defeat. Yet he has called on them to bounce back and end their season with a flourish as they take on the Aces at Monmore Green next Monday (7.30) before hosting Leicester in their final Elite League meeting of the season on September 7. Wells said: "We got off to a decent start, but we struggled as the night went on. Belle Vue are really strong around their home track, and we just didn't really have the speed. "It's been a difficult year for us, especially away from home, we've struggled badly and we've all found it hard with how dialled in the home teams are at their tracks. "It's been a tough season, but hopefully we can manage to end the season on a high by winning our last two home meetings." BELLE VUE 57: Scott Nicholls 12+1, Craig Cook 12+1, Chris Harris 8+2, Steve Worrall 8, Josh Grajczonek 6+1, Max Fricke 6, Stefan Nielsen 5+1. 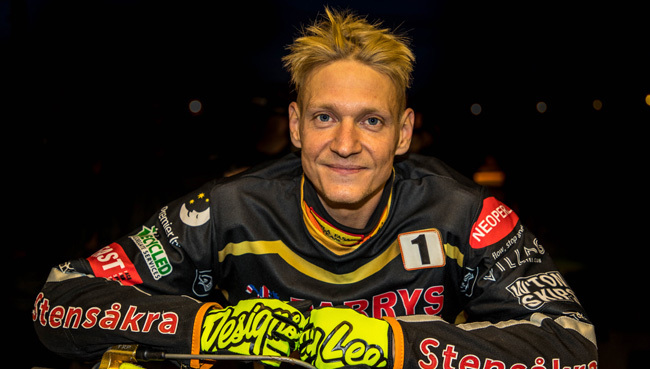 WOLVERHAMPTON 33: Freddie Lindgren 8, Tobias Musielak 6, Jacob Thorssell 5+2, Max Clegg 5+1, Peter Karlsson 4, Ricky Wells 3, Josh Bates 2.